Landlord investment in London is plummeting – even among those based in the capital – causing rent prices to surge to record highs in the region, according to Hamptons International. There has been a sharp decline in the number of buy-to-let landlords investing in London’s property market since the 3% Stamp Duty surchargewas introduced three years ago, new data from the estate agent reveals. Even London-based investors, who historically purchased their properties near to where they lived, are now deterred from buying in the capital, with Hamptons revealing that 59% of London-based landlords acquired their buy-to-let properties outside of the capital during the last 12 months, which is up from 25% in 2010. 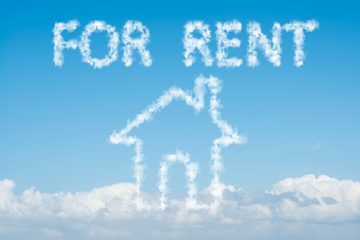 High house price growth and a clampdown on landlord taxes have left more London-based landlords with little alternative but to invest further afield in search of higher rental yields and lower Stamp Duty bills. The proportion of London-based investors purchasing buy-to-lets in their home region has dropped by 17% since 2015 (before the Stamp Duty surcharge on additional properties was introduced in April 2016). The research found that 34% of London-based landlords purchased buy-to-lets in the Midlands and north during the past 12 months, which is up from just 14% in 2015 and 4% in 2010. However, the South East remains the most popular location for London-based investors to purchase buy-to-lets outside of the capital. Some 11% of London-based landlords invested in the South East over the last 12 months – 2% fewer than in 2015. 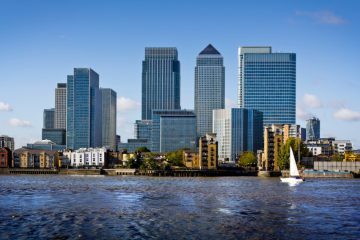 Dartford is the most popular destination for London-based investors in the South East. Landlords living in London purchased 60% of buy-to-lets in the town during the last year. Aneisha Beveridge, the Head of Research at Hamptons International, comments: “April marks the three-year anniversary of the Stamp Duty surcharge introduction for second homeowners. Following this decline in landlord investment in London, rent prices surged by an average of 3.7% in the year to March, causing growth across Great Britain to hit 1.9% year-on-year. Hamptons’ data shows that the average cost of a new let in Great Britain rose to £969 per month in March, as rent price growth continues to rise, led by Greater London, where the average rent reached £1,737 – the highest level on record. Meanwhile, Scotland was the only region where rent prices fell in March – down by an average of 0.1% on the same month of 2018. Beveridge says: “Following a sluggish 2018, London rents reached a record high in March. The average cost of a new let in London rose to £1,737 per calendar month in March – 2.3 times more than the average rent outside the capital.